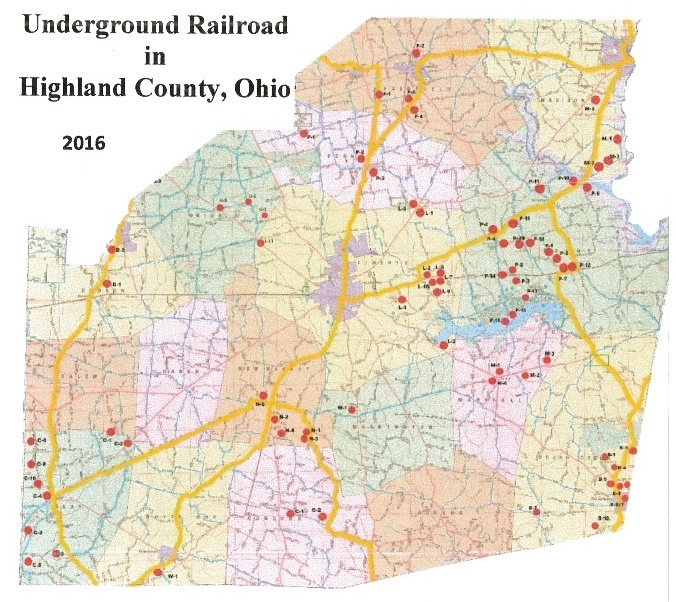 New Exhibit on the Underground Railroad in Highland County is now open! Visit the HUMANITIES ROOM on the 2nd floor. After many months of research and work, the Underground Railroad committee has produced a CD jam-packed with fascinating information, documents, letters and maps. It is available now in THE MUSEUM SHOP at Highland House. To order online, click HERE. Because of the nature of the Underground Railroad, exact information still is hard to find. A committee of Highland County folks have worked diligently to determine routes and stations in Highland County. If you have a story to share, please contact the Museum.